The sleepy satellite city of Delhi has seen rapid urbanisation over the recent years. 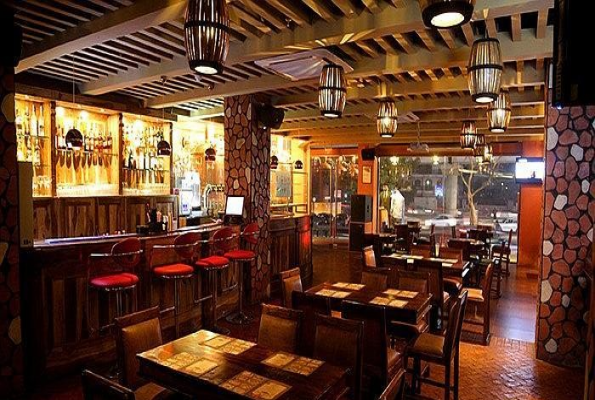 This has also made Gurgaon's nightlife evolve with cocktails bars, restaurants with bars, clubs, breweries and lounges to make your nights into an unforgettable and enchanting fun affair. What used to be a dull corporate hub is now changing into a city that has a vibrant nightlife. To soothe your nerves and have a gala time, Gurgaon now has several options to uplift your mood. This comprehensive guide to the best hangout spots in Gurgaon is for you, dear reader, to ensure that your evenings do not run dry. Your friend who loves beers and wrestling is in town, and you want to chill out in a good pub and brewery. Where would you take them? Soi 7 Pub & Brewery is the right place where you get to watch people wrestle or volunteer for wrestling while you guzzle down some chilled in-house beers. Yes, there is a boxing ring at Soi 7 Pub & Brewery. They also screen sports matches. An ideal place to visit in large groups. The large outdoor seating arrangement and the serene ambience make up for a perfect hangout spot. Thursdays are ladies night and hence, an excellent reason to check out the place with your girl squad. Their Sushi with Wasabi sauce will make you craving for more and so is the case with their wide range of appetisers, Thai Stir Fried Prawns in Roasted Chilli Paste, Lamb Briskets and Vietnamese Lotus Root are considered to be the winners. Decked out in pretty lights, Brew Buddy is sporting some of the most refreshing and most delicious beers in the city. 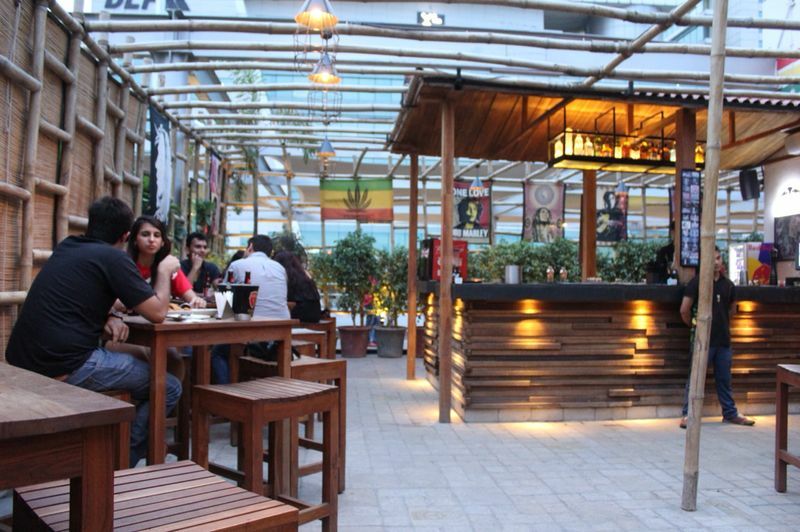 Two floors of brewery serve multi-cuisine food and celebrate Bollywood Nights on Fridays. 'Tap to table' beer is a reality at Beer Buddy because as per your preference, you can select the beer and get it directly from the tap located on your table. We highly recommend Austrian Chocolate Cake, Veg Mezze Platter, Mutton Galauti and Paneer Makhani Pizza. Are you a whiskey lover? If yes, then head out to The Whisky Bar to try out their insane collection of 111 whiskeys. With the claim to have the longest bar in North India, this place is has become a favourite hangout choice for people. The 60 ft long bar table has a conveyor belt attached to it. You have an option of ordering your drinks through the bartender or wait for the drinks to arrive in a fancy way through the conveyor belt. Now, isn't that super cool? There is also a microbrewery if you would like to try a few in-house beers. It?s always a great option to have a good time with some beers and good food. Bottles & Barrels will not let you stop at one beer. Instead, you would feel like ordering one mug after another. Even though you might not have gone for a mood to the party but once you enter, the dance floor and the Punjabi beats will get you grooving, and you would not want to leave. They also have a dedicated gaming section. Don't miss out on trying their Jaggery Ale. It is when you are sitting in the beautiful outdoor seating space with the perfect blend of lights and décor to go with the ambience that lets you relax and reminisce the days, months and years gone by. You recall the stories and embrace the After Stories for each one of them. After Stories is located away from the city, offering the most rejuvenating experience to its visitors. The food served here is the product of great creativity where the culinary experts take over the task of blending the dishes and cuisines to bring out new enticing flavours. Keeping the entertainment quotient loud and high, Vapour is always big on live music and fun gigs. If you are in a mood to unwind in a sophisticated atmosphere with the best-in-town cocktails that this place can shake up for you, then head out to Vapour to capture the coolest spot in the lavish outdoor seating area. With the finest glass of champagne or their exotic range of cocktails, Vapour has the power to transform your average Saturday evening into a memorable night. What is the ideal temperature to enjoy a beer? Don't scratch your head. It is 7 degrees. 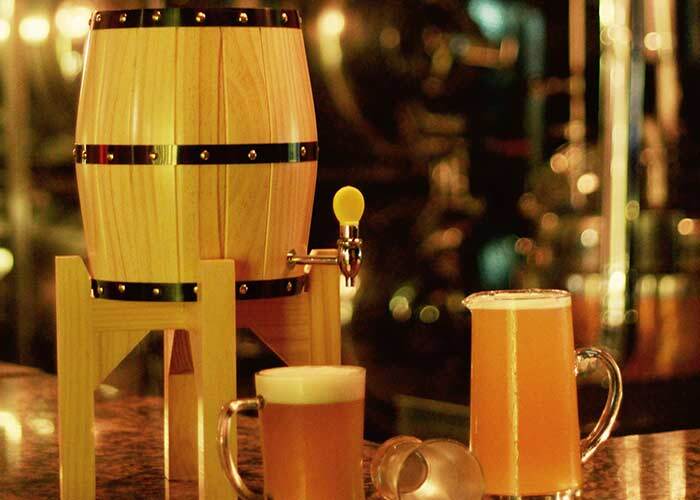 Drink your beers like a boss at 7 Degree Brauhaus. In case you are wondering about the 'Brauhas' part, then it simply means a beer house. 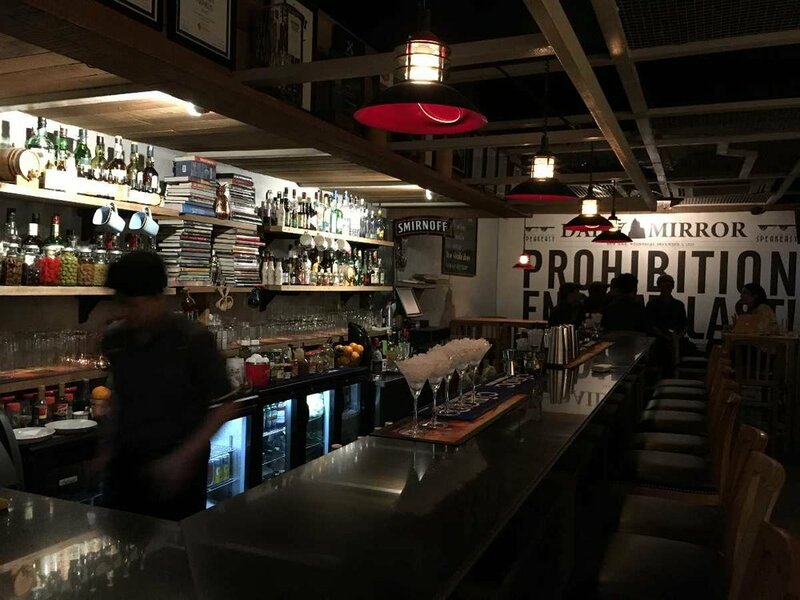 Therefore, as simple as the name is, this place with appealing ambience and equally impressive décor with authentic oak and maple wood furniture, stainless steel tanks, rustic flooring, copper brew kettles, and copper hanging lamps are beer lovers' paradise. Their Classic Sangria when tasted with the Chicken Popcorn and Hot Mezze Platter is pure love. The craft beers served here directly transport you to Germany. A pioneer in the modern-day trend for exotic cocktails, Cocktails & Dreams Speakeasy is a unique pub that takes you back in time, in the 1920s Prohibition Era in America, when visitors used to Speakeasy to get into the bars. The staff is happy to chitchat with you while they fix your drink. They will even suggest you the drinks as per your current mood, the kind of dedication that leaves a lasting impression for sure. They also host some of the most exciting events such as monthly quizzing sessions. Cocktail making workshops, jazz clubs, guest gigs and much more. They also have some fascinating reads lined up for you, if you enjoy reading over some tropical cocktails. Seafood is bae! For the freshest seafood delicacies served with incredible in-house beers, you must visit The Hook - Restaurant and Brewbay. 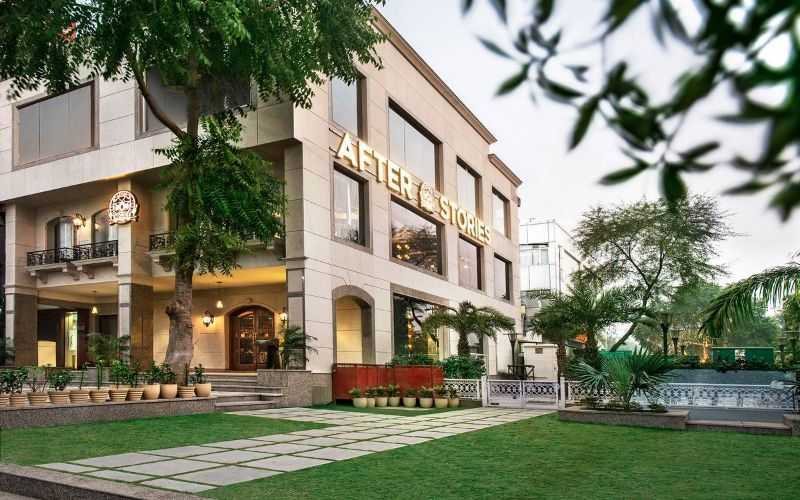 One of the hottest new places in Gurgaon, it is spread across three different levels, each flaunting its charm and colourful décor. The place takes the entertainment business very seriously and organises a plethora of events on all days of the week. Just to give you a heads up, Sundowner Sunday, Ibiza Saturday Floaty Friday and Ladies Night are to name a few. While they specialise in seafood, they also cater to the choice and need of those who prefer vegetarian food. The Paleo or as they say, 'healthylicious' food is what you exactly need as a foodie for a delightful experience. So, be there to catch some oceanic vibes with coastal curries and refreshing cocktails. The chic Indian café where you can experience gourmet food take you for a good ride. The quirky menu offers a wide array of fusion dishes served with a flavour of nostalgia. The presentation of the food is mind-blowing, and you are bound to be awestruck when your Chicken Tikka Masala is served in a London style telephone booth. Farzi Café balances Indian dishes with Western styles, living up to its connotation of 'creating an illusion'. Experience the Indian flavours presented to you in an ultra-modern style to have the ultimate gastronomic experience. There is no shortage of places to grab a beer in Gurgaon but what better place there could be other than a craft brewery that follows the concept of stock exchange. Yes, the price of drinks fluctuates as per the demand at a particular time. The Pesto Fettuccine Chicken Pasta, Dahi Kebab, Fiery Chicken Pizza, Chicken Quesadillas, Spinach mushroom baos and Chocolate Paan are a treat for your taste buds. Comedy Nights on Thursdays at the Manhattan Bar Exchange & Brewery will make you laugh out loud whereas the Virtual Bowling Alley can be equally fun on any other day. The dim lights and spacious seating area makes this place as one of the favourite pubs for people to quench their thirst. The delectable food served here comes after a lot of experimentation to suit your taste buds. The food is delivered to you in cutlery that resembles equipment from chemistry lab whereas the menu card is more like some memorabilia from the time of the Second World War. This German pub will remind you of the time when Adolf Hitler was around with the guns forming an intricate part of the décor. Spread across two floors, the rooftop is where the evening gets magical with a panoramic view of the city. The little gastronomical experience combined with a microbrewery makes Molecule Air Bar one of the first of its kind in the country. To beat the terrible heat, the best way is to chug down some chilled beer with crispy appetisers. When you are getting to choose from more than 50 beers under one roof, you will fall in love with such a cool place, for sure. The Beer Café, the most significant beer chains in the country offer beers from more than 19 countries across the world. What's more exciting is that they also have something called 'Brew Miles' for their loyal customers. 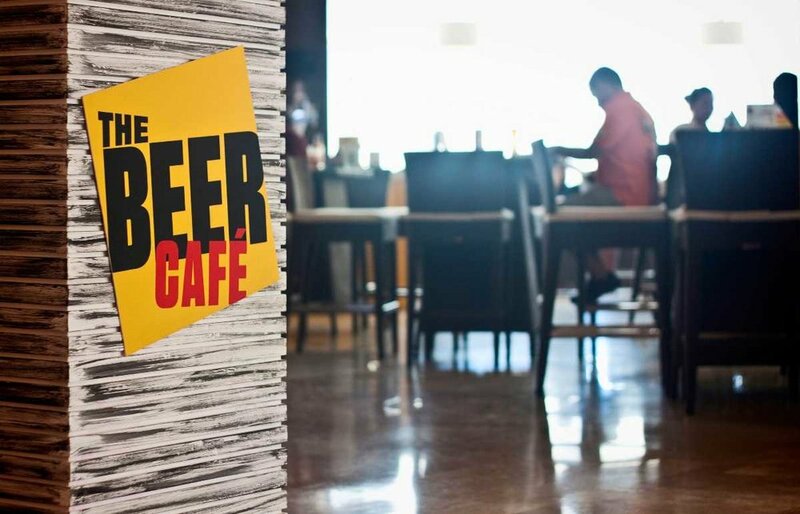 By downloading The Beer Café app and scanning the QR code on the receipt fetches visitors one point for each rupee spent. These points earned can be conveniently redeemed on rewards or a handsome pitcher of draught beer. 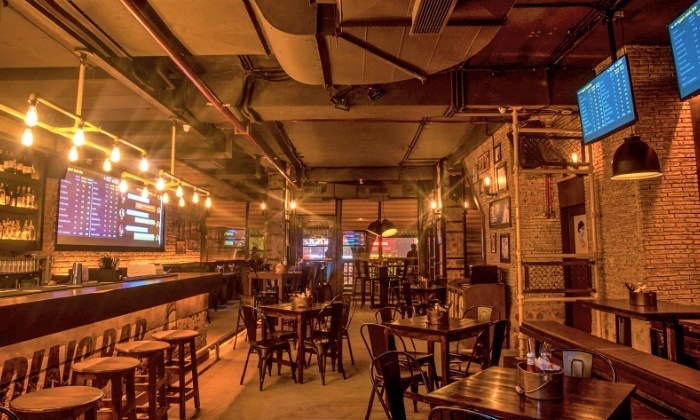 For all you party people out there, Vapour Bar Exchange is one of the happening places in Gurgaon that offers drinks at the most pocket-friendly prices. Another bar that works on the concept of bar exchange, their start price is as low as INR 20 per drink. The costs of drinks go down when there is a decrease in demand and vice-versa. Eight craft beers with innovative flavours indeed say a lot about the dedicated team at the Vapour Bar Exchange about serious they are about the beer business. For the love of food, make sure you relish their Veg Moussaka, Bunny Chow, Bangers & Mash and Ghost Nihari. One of the most sought-after chilling spots in Gurgaon, Adda by Striker, maintains a remarkable stylistic balance in its in-house beers. The DJ plays the most hip tunes whereas, on some days, you can catch cool live gigs here. Sample the unique flavours with the meticulously crafted food menu to enjoy the best Finger Food and authentic Mexican dishes at Adda by Striker. Weekly events such as Bollywood Night, Club Night, Sufi Night entertain drinkers while they have a merry time. Looking at the increasing number of microbreweries, one might come to understand that we certainly appreciate the craft of beer-making. 7 Barrel Brew Pub, located at a prime location in the city of Gurgaon, is the perfect spot to unwind after a hectic day at the office. The food menu is elaborate with a wide array of snack options to pair up with your drinks. Chicken Lemongrass Skewers, Honey Chilli Potatoes, Marinated Feta, Kolhapuri Lamb Chops and Spinach & Cheese Crepes are worth trying here. Enjoy glamourous events such as Belly Dance Nights and Unplugged Sundays to spend the perfect evening with good company. Hit this brewery with the rustic combination of wood and tile that make the décor exquisite at Brewer Street. Their Rum Beer has won several hearts. Ladies Night on Thursdays and Club Nights on Fridays and Saturdays, are fun-filled and lively while their Sunday Brunch is exceptionally great and worth trying. The food is sublime, and the ambience is great to chill out with the special one. Counted among the spacious lounges in Gurgaon, Raasta is famous for celebrating the Rastafarian culture to let the good vibes flow. The cheerful interiors represent the bright hues of the Caribbean culture with the perfect tunes to go with the vibrant spirit. The Boombastic Karaoke on Thursdays will let you take the spotlight and sing your heart out and Band Nights on Sundays are fun-packed and exciting. Ladies, you deserve something special, and Raasta welcomes you and your girl gang on Wednesdays which is Ladies Night. While you are there, treat yourself to the Basil Chicken Faffa, Jamaican Jerk Chicken, Blackened Jumbo Prawns and Carib Chicken Curry. Sprawling across two levels with a rooftop dining area that lets you munch on finger-licking appetisers while you sip on their cocktails, under the magical stars. The powerful cocktails served at the Hard Rock Café alone could enchant the aficionados from their favourite den. The well-executed menu speaks highly of the craftsmanship of the culinary artists at HRC. For music lovers, HRC has special arrangements. A live museum dedicated to musical history which showcases items belonging to renowned artists. The true gastronomical experience is a promising start to have a severe love affair with any pub or restaurant. Sutra Gastropub's casual mixology game is intense. So loud that you would want to linger at long even after the place closes down for the day. Ladies Night on Tuesdays is ideal for all you women to be pretty and party hard. Sufi Sutra on Wednesdays with a Bourbon Smooch or 7 Steps to Hell and Kastori Olive Chicken Tikka or Broccoli and Bok Choy in Black Bean Sauce for the veggie lovers can be calming for the heart and mind. An excellent atmosphere, killer cocktails and delectable bar bites can be light and refreshing after a dull day or week. With Gurgaon's evolving nightlife scene, you don't have lack of options to consider when you are planning an evening out with friends, family or the love of your life. Head out any of the above watering holes or hop on to your second favourite social hub to catch on the array of craft beers, eats and a charming view.